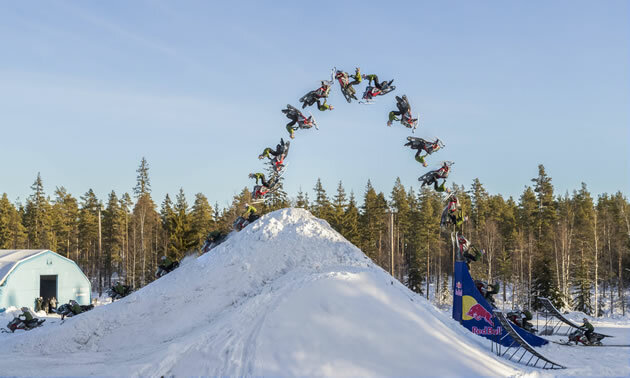 Daniel Bodin has beaten his freestyle rivals Colten Moore and Heath Frisby to the first successful double backflip in history on his custom built snowmobile. The swashbuckling Swede was in a race against time to outdo the Americans’ attempts, which are due to take place at the Winter X Games in Aspen at the end of January. After a series of test jumps, the 31-year-old gunned his snowmobile towards the kicker in a forest glade on his home snow of Malung and completed two full backflip rotations. 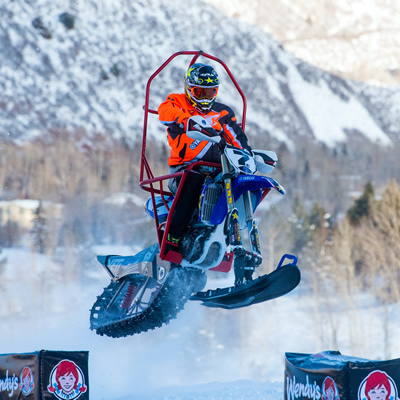 Not only that, the snowmobile motocross star managed to land his 450-lb (204-kg) vehicle back down safely from 45 feet in the air. 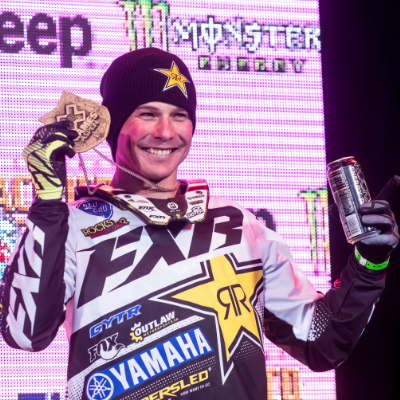 Previous high-profile attempts at the elusive trick by Levi LaVallee at the 2009 Winter X Games and Justin Hoyer in the 2011 event both came up short, however Bodin was confident that he could finally wrap up the holy grail of tricks. He declared: “I did it! I can’t believe I did it! The rush! It just can’t be described—nobody in this world can understand the feeling. I have nurtured the dream about nailing this trick for more than two years. Bodin will leave Moore and Frisby to try it themselves in Aspen, his focus elsewhere this time around. The multiple Winter X Games gold medallist first came to the sport’s attention when he landed the world’s longest backflip of 147 feet nearly a decade ago. He also managed to battle back from a 2012 horror crash that fractured five vertebrae to continue his gold medal haul, along with a near 215-feet jump off a ski jump slope.